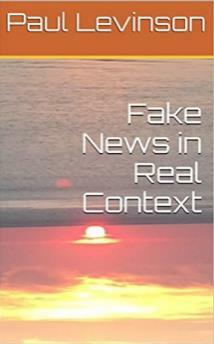 Plan to attend the next program in the Combating Fake News series when Paul Levinson will discuss his book Fake News In Real Context. Dr. Levinson will sign copies of his book after the presentation; the LLC has complimentary book copies for GRCC students, faculty and staff (while supplies last) available at the Circulation Desk. See our Fake News Subject Guide for more information. How to Recognize Fake News is new to GRCC’s streaming video collection. Think of fake news as a disease. 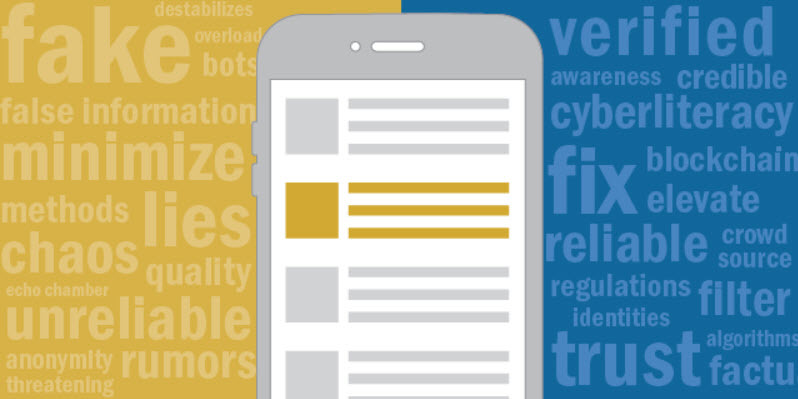 Without knowing how to identify and stop its spread, information literacy is at risk, especially among audiences whose critical thinking skills are vulnerable. This video series equips viewers with tools to spot the stories and images that are false, biased, altered or slanted, even those shared by trusted friends or family. Easy tips to detect and check fake news will encourage scrutinizing material for opinion, inaccuracy or misrepresentation. Target audiences learn how to avoid being duped by fake news and may be less quick to click until they know what’s real and what’s not. For more on this important topic, see the Fake News Subject Guide. “Experts are evenly split on whether the coming decade will see a reduction in false and misleading narratives online. Those forecasting improvement place their hopes in technological fixes and in societal solutions. Others think the dark side of human nature is aided more than stifled by technology.” See the Pew Research Center website for their recently published study that is well-worth reading. 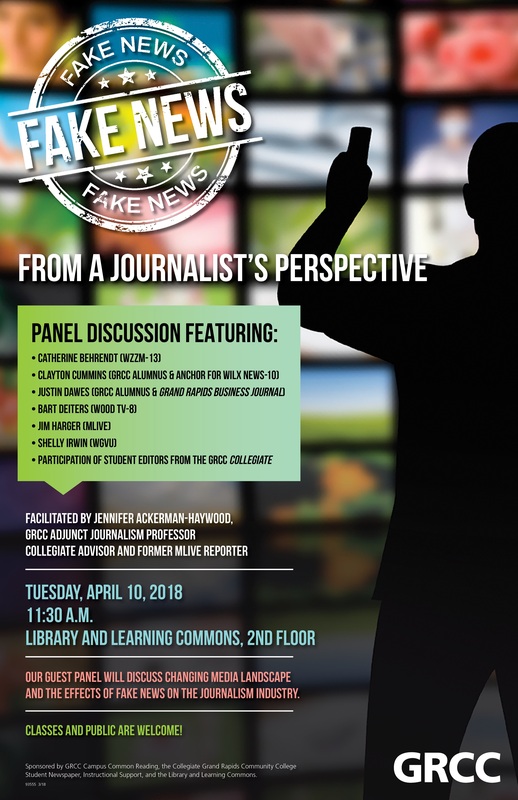 Mark your calendar for the next event in the Campus Common Readings’ programming on “Combatting “Fake News.”” “Fake News, Lies, and Propaganda: How to Sort Fact from Fiction” will be Jo Angela Oehrli’s topic on Wednesday, February 28 from 1-2:30 PM, on the LLC’s second floor. 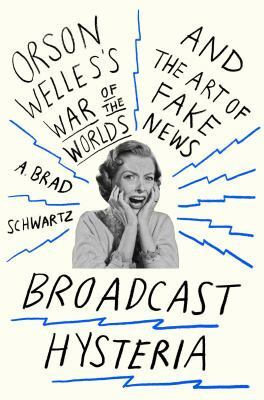 If you missed hearing author A. Brad Schwartz talk about Broadcast Hysteria: Orson Welles’s War of the Worlds and the Art of Fake News last week, you have a second chance. Media Services recorded the event, and you can see it here! This author visit and book signing was the second of several events planned by the Campus Common Reading Committee during the 2017-18 academic year that relate to Fighting Fake News. See the Fake News Subject Guide for more information!